Hey everyone, sorry I took so long to upload this post. 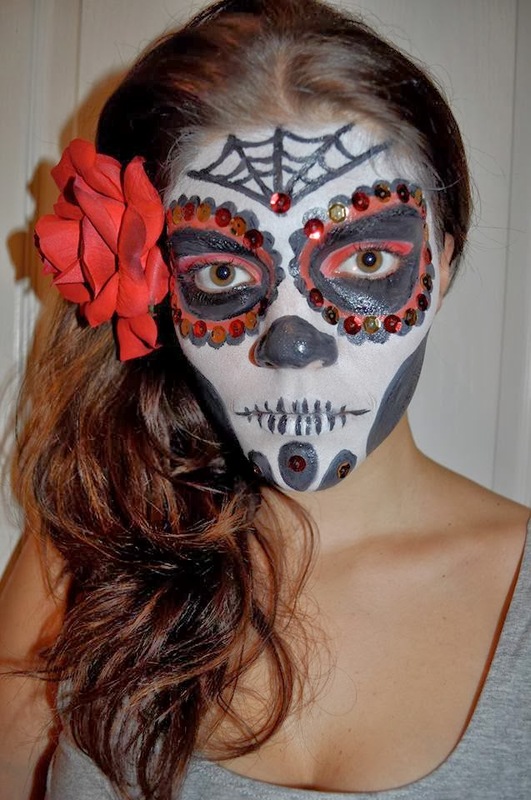 This is my step by step Sugar Skull makeup tutorial. I did this on myself the other day but I didn't take pics of the process so I did it again and used a friend of mine as a model. 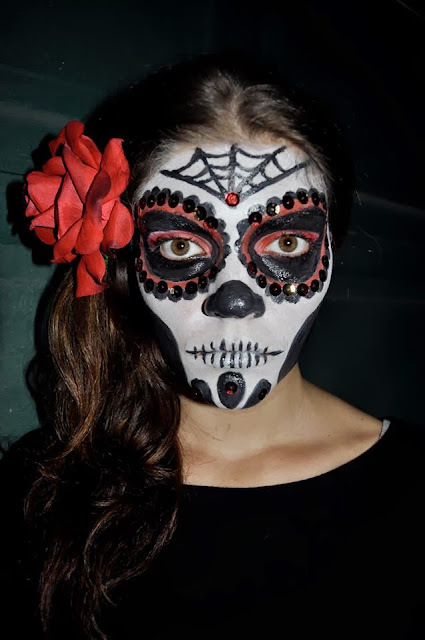 If you want to see the one I did on myself go to my Halloween makeup post. 1. Start with a white base. 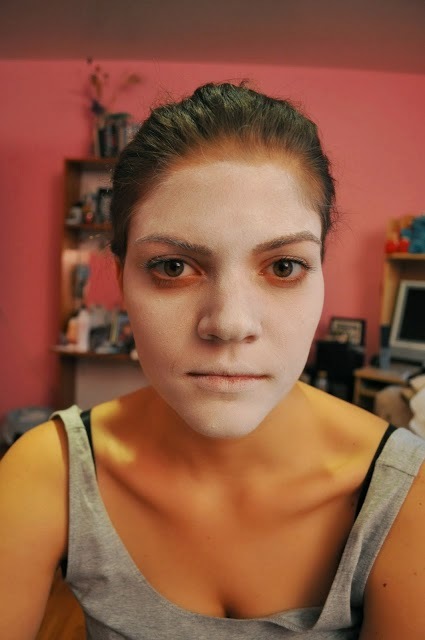 I used my Ben Nye white color cream and applied it all over the face with a sponge. 2. Apply whatever color your using as your accent color and apply all over the lid of your eyes with a brush. I used a Makeup Forever red eye shadow. After do an outline around the eyes in black. 3. 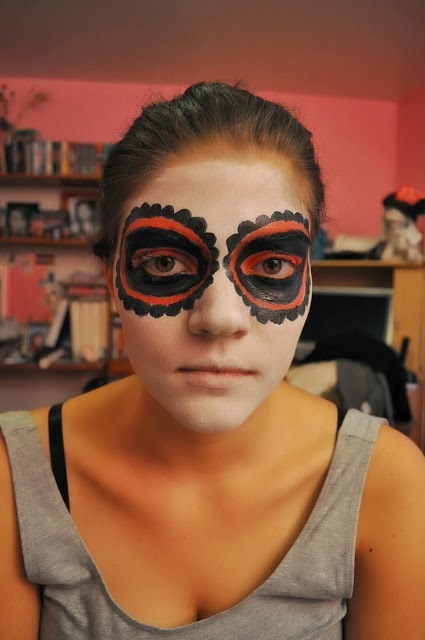 Fill in the black around the eyes. I used a black cream by Ben Nye. 4. 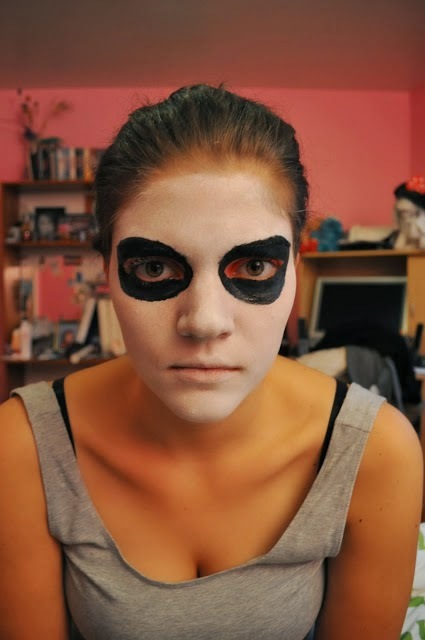 Do an thick outline in your Accent color (red) around the black eye. And then black little circles around the red. I used a brush to draw this on. 5. Now that your done with the eyes. Fill in the nose with black. 6. 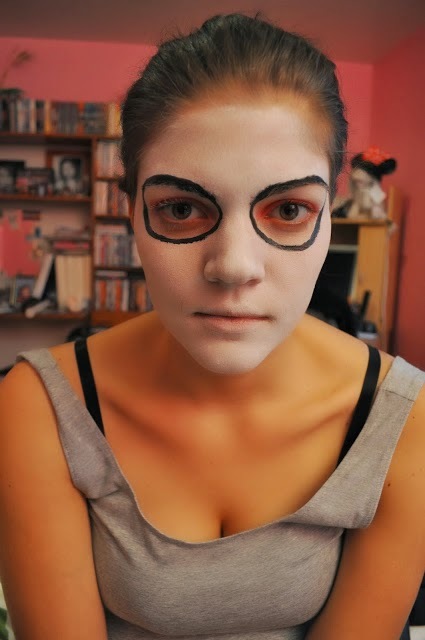 Find your bone structure and draw the line around that area, then fill it in with black. This adds depth and makes it look like its sunken in. 7. Now you can add detail. On the forehead a drew a spider web, on the lips I drew fine lines to make it appear like teeth and on the chin i drew 3 diamond like shapes. You can do whatever designs in those areas. Use a fine brush to draw these on. 8. This last step is optional. I added red and gold sequins around the eyes and also on the chin and the tip of the spider web. I stuck these on with eyelash glue, you can also use spirit gum. I hope you found this makeup tutorial helpful. 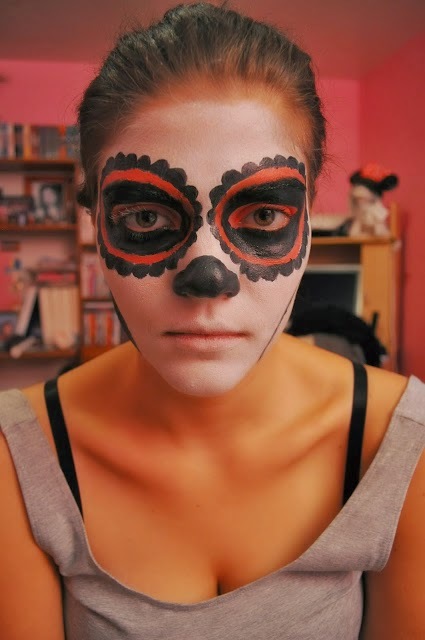 If you want to see more step by step Halloween tutorials, let me know. 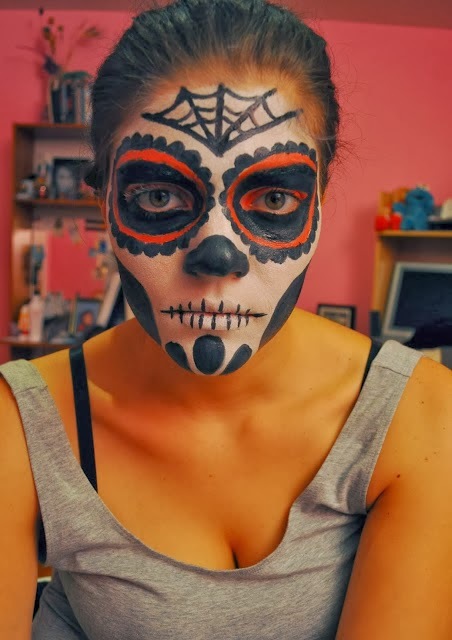 So cool - you're such a talented makeup artist! !